Making a police and rescue knife is a serious undertaking – a person’s life can depend on its ability to function correctly should anything go wrong. 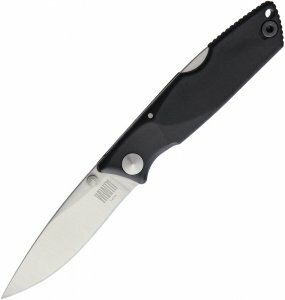 Years of development work and experience lie behind the design which has resulted in an extremely strong and reliable knife for use in dangerous situations. 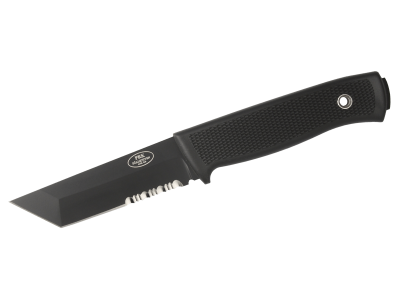 The newly developed cobalt specialty steel, and its finish (Black Ceracoat) also makes the knife very suitable for boats and ships – the PRK is the first advanced boat knife in the world. The partially serrated blade cuts extremely quickly in porous but tough materials (hawsers, nylon ropes, seat belts, etc) and thanks to the very special steel the blade holds an edge extremely well. This knife is a result of our cooperation with the Riot Police squad in Malmoe. We are most grateful for their input and good advises.